Welcome to the Swiss-Belsuites Pounamu, located in the heart of Queenstown. We are proud to manage such a stunning Queenstown property and are confident you will enjoy the awe inspiring views of The Remarkables and Lake Wakatipu. Five-Star facilities provide the perfect environment for you to relax and offer all the modern comforts of a home away from home. 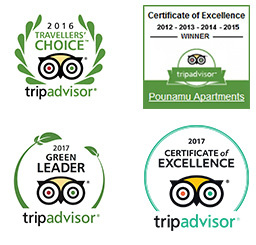 Our One and Two Bedroom self-contained luxury lake view Apartments or boutique Studio Rooms (no views) are situated in the centre of Queenstown and exude luxury, comfort and style and are fully equipped with all modern facilities. Our beautiful Apartments are centrally located on the main entrance of town and just a 10 minute stroll to Queenstown lake foreshore, supermarket and Queenstown’s restaurants and café scene. 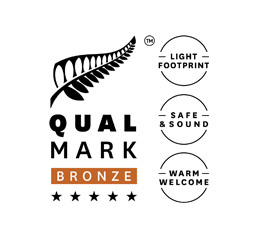 Living on site allows us to provide a high level of service unsurpassed in Queenstown and with our friendly Team of knowledgeable staff we know you will enjoy your stay with us. Our Team can advise and share their local knowledge of the region and book trips and activities for you. We have worked hard to establish great relationships with local activity providers and can ensure you are getting the best deal. We know you will fall in love with Swiss-Belsuites Pounamu and the spectacular panoramic views. Come and join us and let us make your holiday full of life time memories.